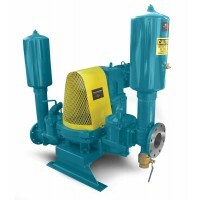 Pump up to 110 GPM with the engine driven Pro Series Mud Sucker 4B-M. 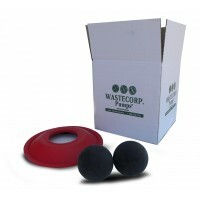 Using check ball technology to manage the toughest waste pumping jobs. 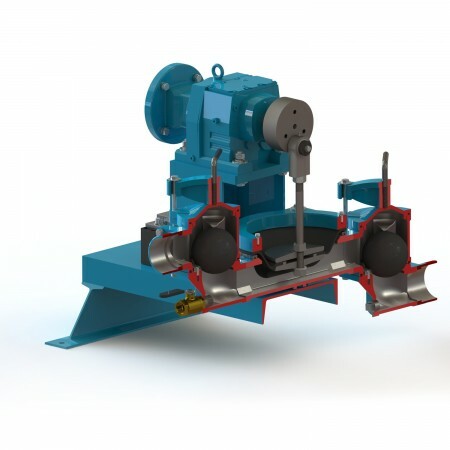 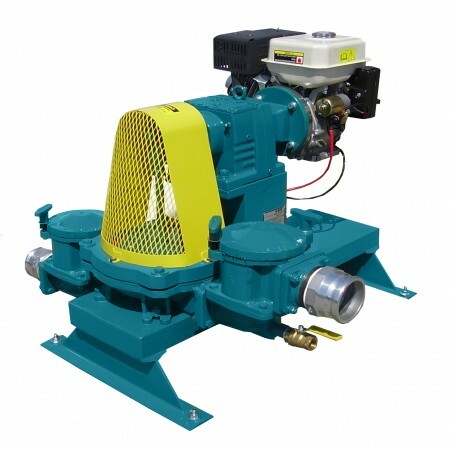 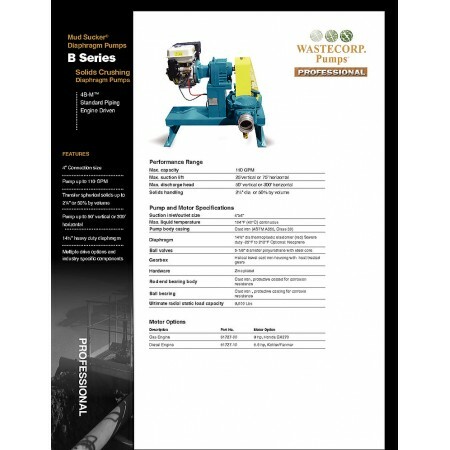 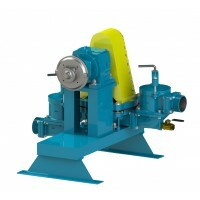 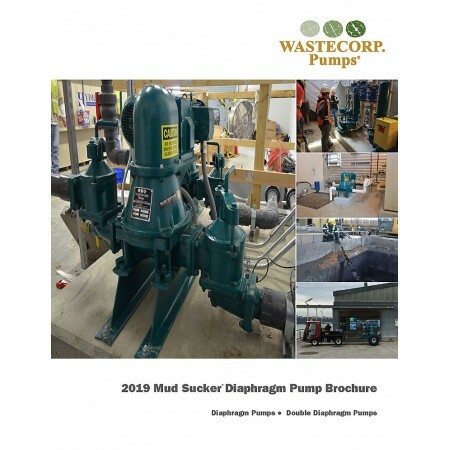 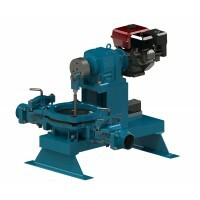 Mud Sucker Pro Series engine driven diaphragm pumps use check ball technology in the suction and discharge valve chambers to pump slurries, abrasive fluids, solids and general wastewater. 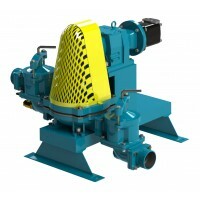 Access to both the suction and discharge areas is available within seconds. 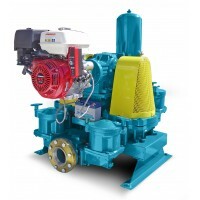 The Mud Sucker 4B-M includes a standard emergency pressure relief valve. 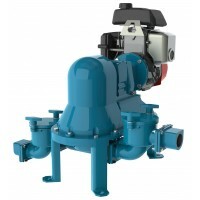 Since a diaphragm pump is also a positive displacement pump, a pressure relief valve reduces the chances of damage in an over pressurization event. 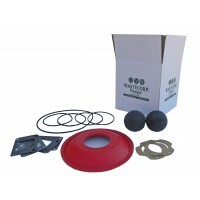 Our professional diaphragms are tear resistant and are specially formulated to pump waste oils, municipal sewage and petroleum based products. 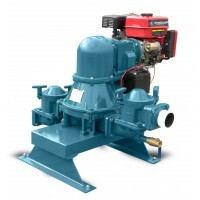 Genuine OEM Mud Sucker Pro Series engine diaphragm pump spare parts kits are available same day (in select areas) or next day service if required.